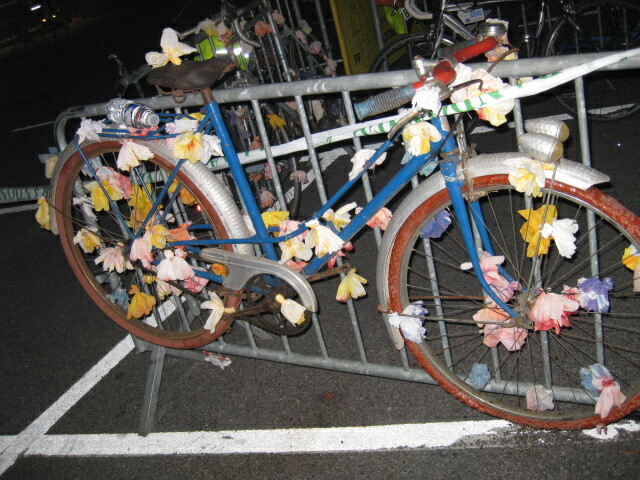 When I arrived at one of the last controls on Paris-Brest-Paris this year, I was shocked to see this beautiful french bike tied to a barrier as a decoration. Sure, I have seen other bikes placed throughout the route(towns are judged on their display and support of PBP), but this seemed different. 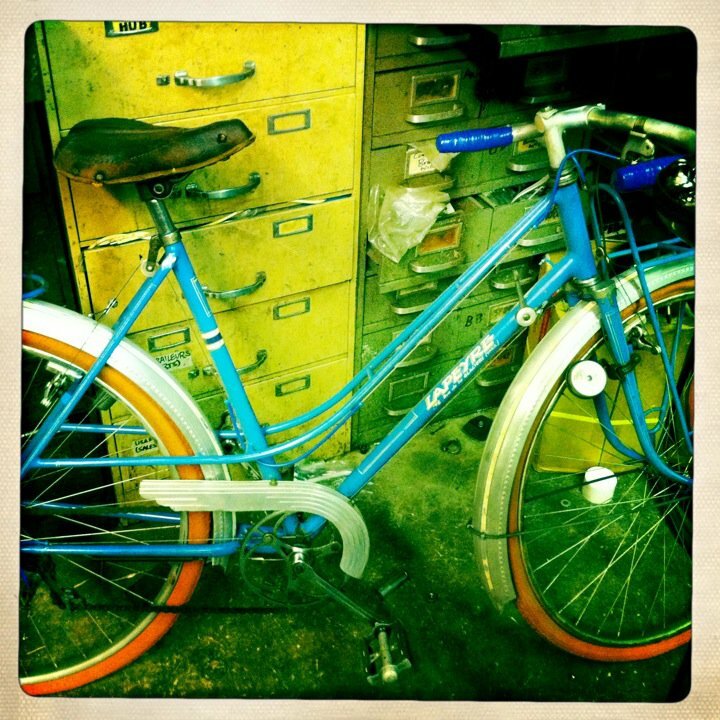 This was a 1950s French blue ladies bike with Lefol fenders, dual Luxor le Paen 65 headlight, 650b wheels. I want that bike. For an instant, I thought about how I might get that bike, but that was a sleepless PBP thought. It is similar to our LaPeyle we have, seen below in an artsy Iphone picture. Here is a video that our bike was used in, of my friend’s band, Sun Airway, and directed by my friend Ricardo of Klip Collective.